Samsung Galaxy S5 Edge together with Note 5 to be launched next Thursday. And while that Thursday, @evleak Twitter account brings a photo of an unusual extra for S6 Edge. 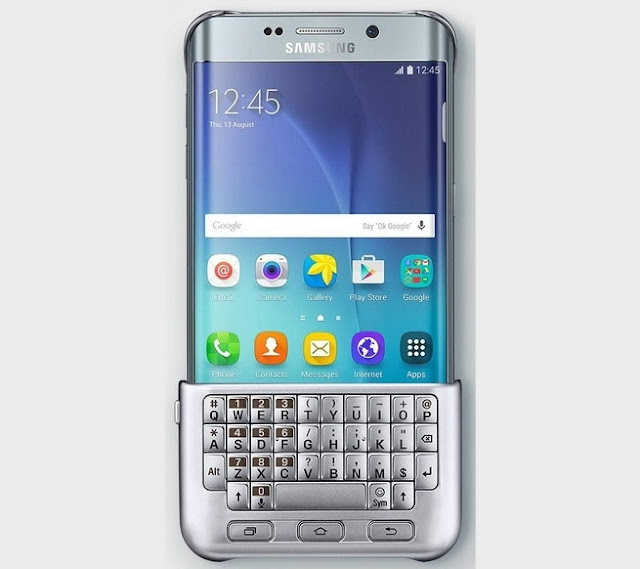 It is a physical QWERTY keyboard as can be found on BlackBerry phones. It seems that the addition of just slid over the lower edge S6 + and then you have a QWERTY keyboard for your S6 Edge. It remains to be seen of course whether this is a real product, and that you will have this kind of Note 5 supplement.